It's the holiday season, so whoop-de-do and hickory dock! I can't even express how much I love Christmas--if I can wait until after Halloween to put out my decorations, I'm pretty proud of myself. My house constantly has candles going, It's full of Christmas candy, Christmas gifts, Christmas cheer. I can't WAIT for school to be out so I can drink cocoa, watch movies, and decorate cookies. I still have two weeks left at school, but break is finally within sight! 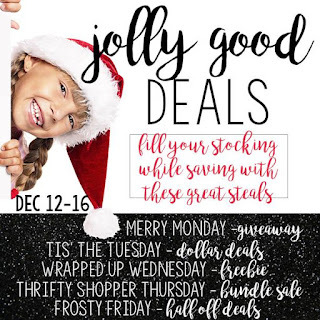 In the spirit of giving, I have teamed up with a group of amazing sellers to offer some sale days, and as one of my followers, you will be privy to all my upcoming sales early! Monday is going to be an amazing giveaway! All participants contributed and we are excited to offer SIX $50 TpT giftcards!! You can sign up using this Rafflecopter link--you will be asked to visit all FB pages of participating stores as your entry. All participating stores has submitted popular products to a gift guide catalog for your consideration! Browse these amazing products while you shop! 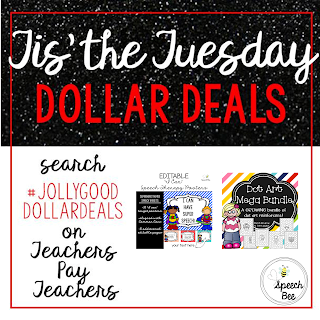 I'm particularly excited about my Tuesday dollar deals! I'm going to give two items at a deep discount on Tuesday. First, is a growing bundle full of season and thematic do-a-dot pages. These simple pages are incredible motivators for my students! 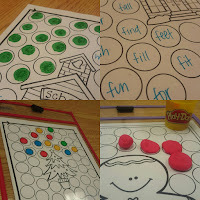 I use them for articulation, wh questions, homework sheets, sight word sheets, even smash mats! This Dot Artic Growing Bundle is only $1 on Tuesday! While you're there, you can also snag these Superhero "I Can" Statements for Speech Therapy. 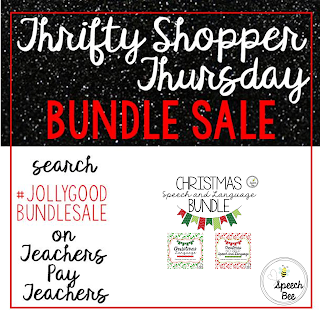 The're Common Core aligned, editable to fit your speech room, and only $1! 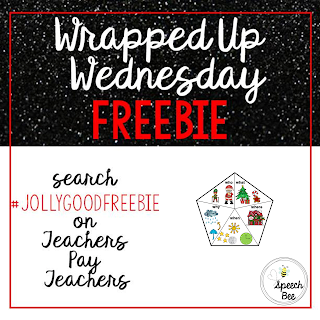 Wednesday is a day of freebies, and I have a special freebie for my followers! I'm highlighting a current freebie using the hashtag, this WH Cue Card. However, as a thank you to my followers, I will be marking down my Editable Teacher Toolbox Labels on Wednesday as well. They won't have the hashtag, this is my gift to followers only, so don't forget to grab it while you can! Christmas, Christmas, how I love Christmas...did I mention how much I love Christmas? 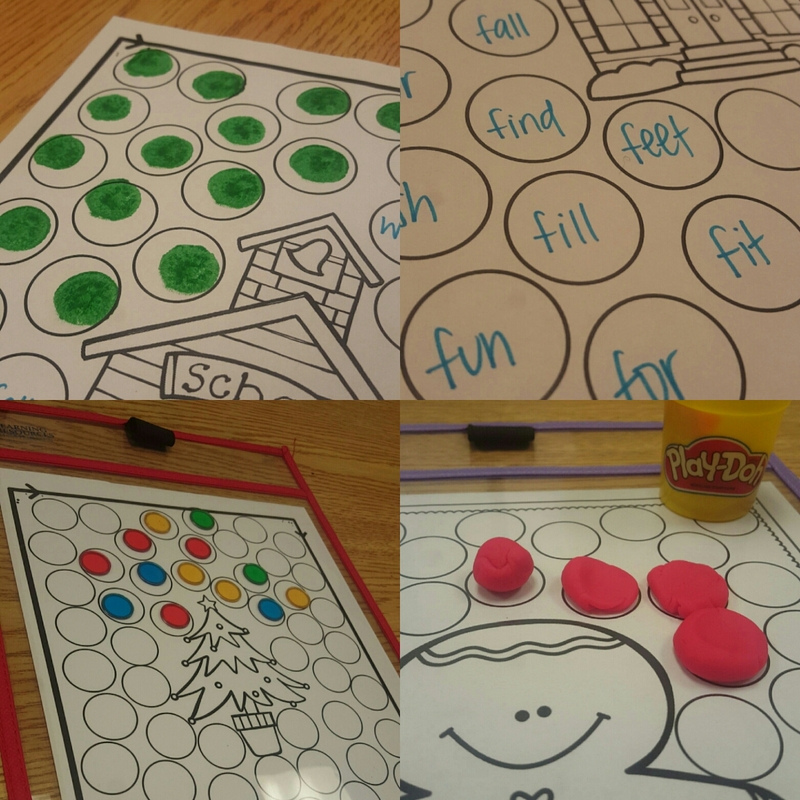 My students have also loved using Christmas themed activities and worksheets in our speech and language room. 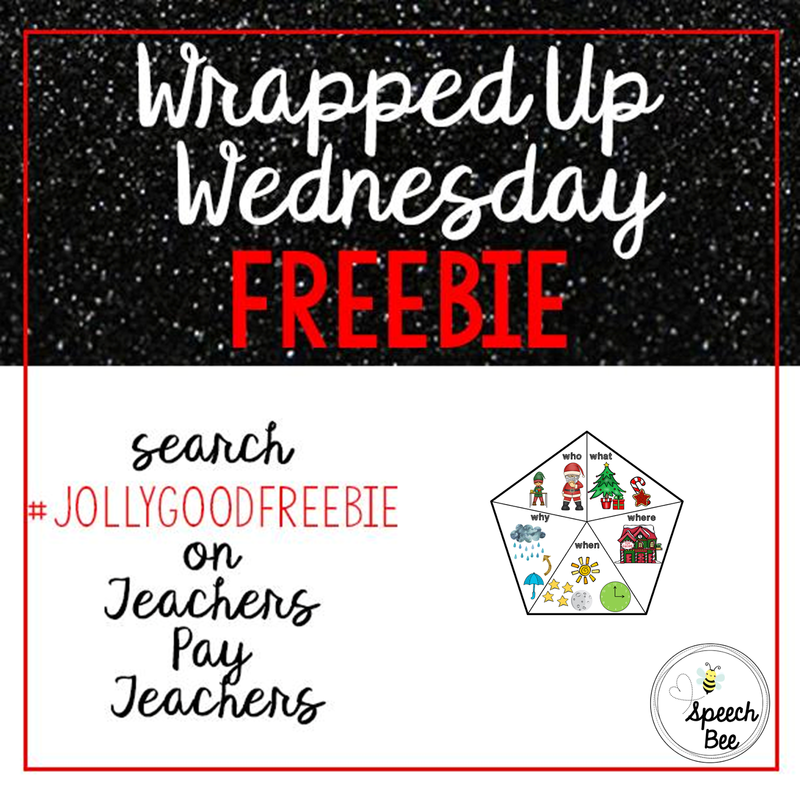 Grab the Christmas Speech and Language Bundle for 50% off on Thursday for your students! 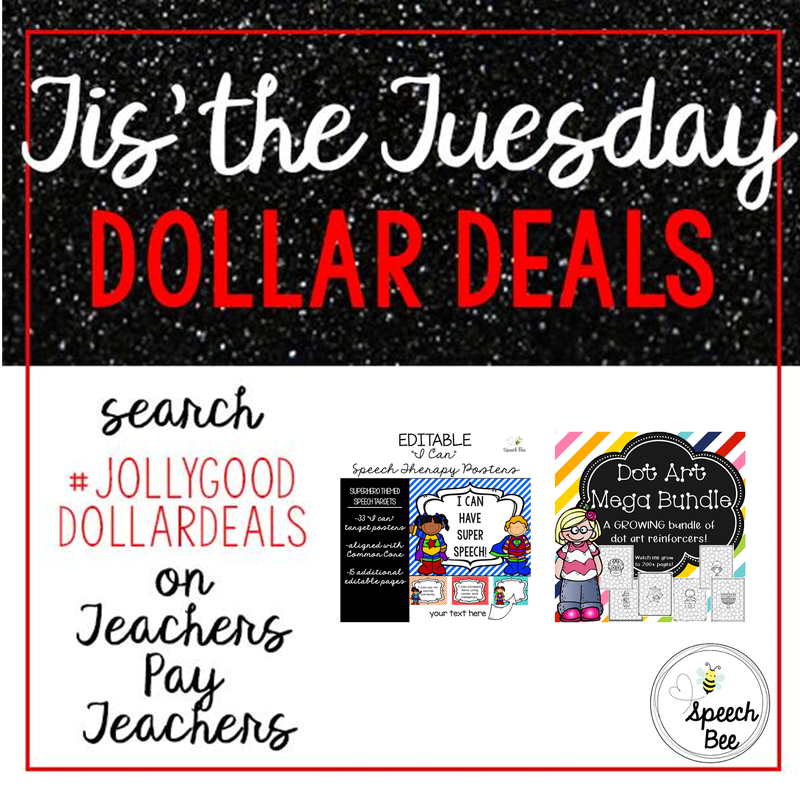 Finish off this week of Jolly Good Deals with half off Growth Mindset Posters and a Mega Bundle for your Superhero Speech Room! Finally, I wanted to tell my followers only, that I will also be posting various dollar deals throughout the week as well! 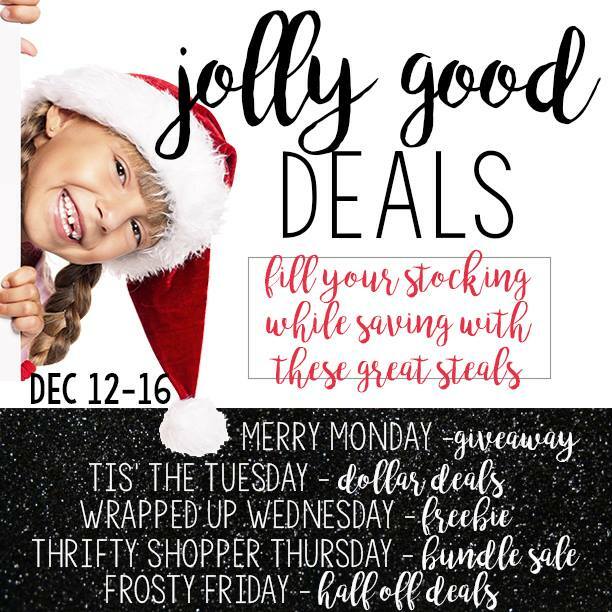 Use the hashtag #8daysofChristmas between December 12th and 19th to find more great deals!